Big buzz today for the Team Green two-day Business and Property Foundation Training seminar event being held in London. 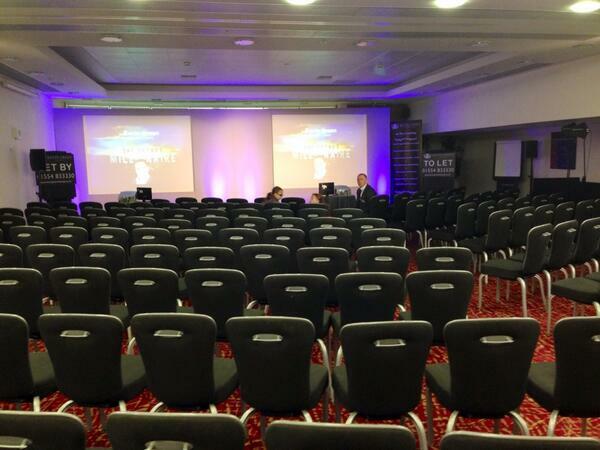 As you can see below, the room was ready for delgates first thing for what promises to be a great weekend's work. In fact, we have a full house for the weekend, providing a great opportunity for one and all to exchange news and views and meet friends old and new. The next photo shows the start of the seminar. By any standards, it's been quite an evening. Have just enjoyed a superb reception and dinner hosted by The Carers Trust charity at the historic Drapers Hall in the City of London. The guest of honour was Her Royal Highness The Princess Royal, Princess Anne. 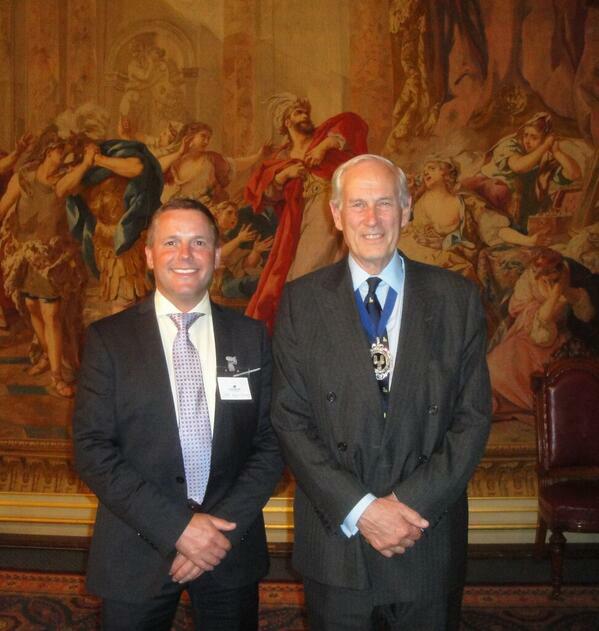 I'm pictured above enjoying an earlier reception and dinner with HRH (at the Grosvenor Hotel in London last year). This latest Royal meeting was in response to an invitation from The Carers Trust, a charity I have supported in the past. It started with champagne and canapes in a very grand reception room at the Drapers Hall. In attendance were about 100 supporters of the charity, charity officials and some of the people who have benefitted from the charity's excellent work. We heard an inspirational speech from a young South Wales lady who received some life-changing help from the Carers Trust - and, of course, there was a speech from The Princess Royal. 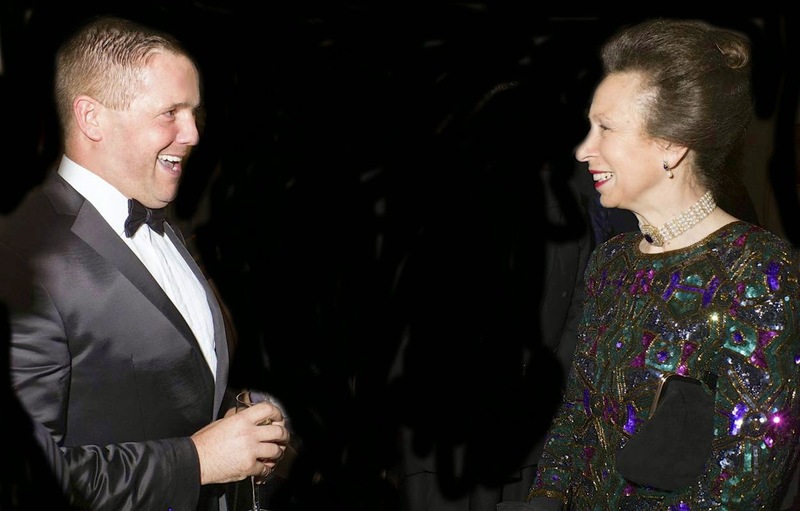 Afterwards, 20 key supporters of the charity were whisked away into The Court Dining Room at Drapers Hall for a private dinner with The Princess Royal. The guests at dinner included Admiral the Lord Boyce, Master of Drapers Hall, and his good wife Lady Boyce. 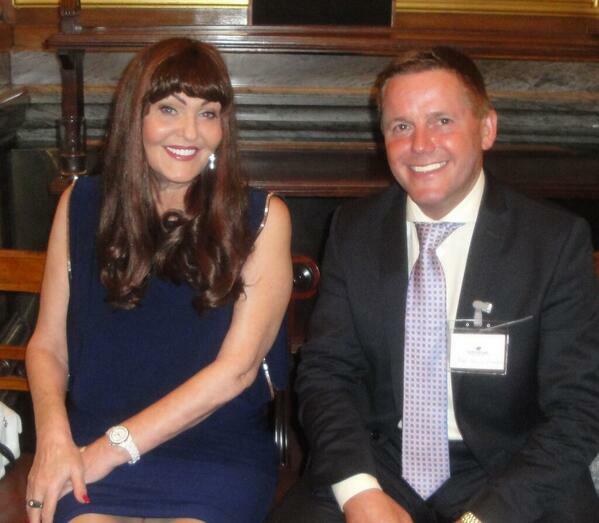 Also in attendance were Lady Carew Pole, my good friend the ever-popular business 'Dragon' Hilary Devey CBE, Mr Andrew Cozens CBE, Mrs Carole Cochrane CBE, Lady Ashcroft and Scottish media and radio tycoon John Quinn. I particularly enjoyed talking to Alan Rind, who heads his own Rind Foundation. The businessman has a wonderfully philanthropic attitude to spending his money. It is all going to charities and good causes through his Rind Foundation. I also enoyed chatting to Laura King, who runs caviar and speciality food business King's Fine Foods, who are based near Rugby HQ at Twickenham. It was a great occasion and my thanks go to The Carers Trust for their very kind invitation. Our Miranda has a baby girl! It's been a busy couple of weeks for the expanding Team Green. Recently, I told you about our new donkey foal. We named her May after you sent in your suggestions. 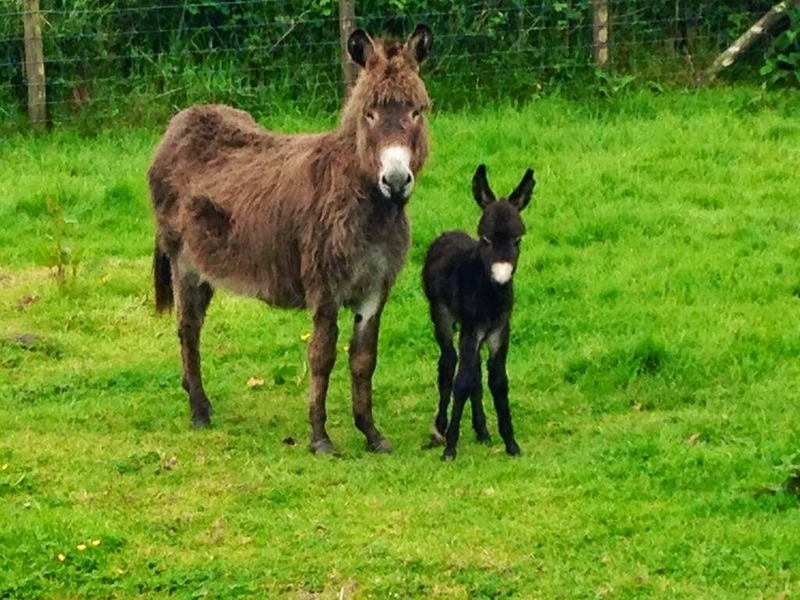 The latest arrival is pictured above with Miranda, who is a first time donkey mum. Mum and baby girl are doing well. 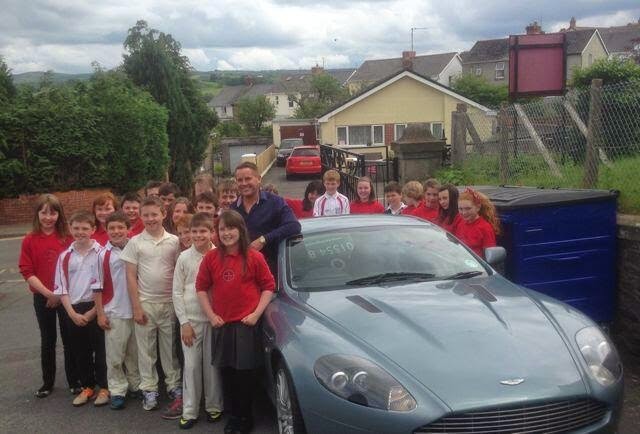 It was great to catch up with the children of a junior school in Llandeilo, West Wales. I popped along to Ysgol Teilo Sant (Saint Teilo's School) to give the youngsters a pep-talk about business and young entrepreneurs. You can't start too early when it comes to teaching children about the world of business! The children were a credit to their school, their teachers and their parents. For some reason, they seemed very interested in my Aston Martin! Great evening with Landlords National Property Group, LNPG, meeting in Derby this evening. I was the guest speaker for the evening and it was great to meet friends old and new.